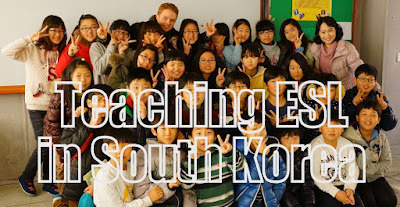 I've been waiting to publish an entry on teaching English in Korea, because I didn't want everyone to know how biased I am about teaching there, as opposed to other countries...but I can wait no longer. As you will know if you read previous entries, I taught English in Korea for 3 years. During those years I taught children, adults at a private academy and university students. In the following entry I'll talk about some things you should know about before choosing to go to Korea to teach English. South Korea is a highly-developed nation which takes pride in it's well-educated people, vibrant pop culture and art scene, and of course exporting cutting-edge technology like the latest smartphones to the rest of the world. Its beautifully landscapes, long history, and small size make the country a great place for ESL teachers to be immersed a new culture and see the country easily. 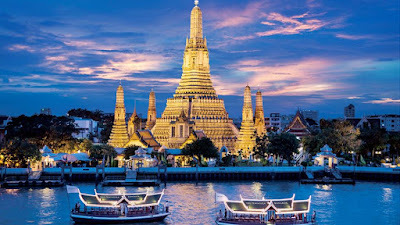 It’s a great place to live, meet other TEFL teachers, and get to know a brand new culture. In the 2000s, Korea was the go-to for English teaching jobs, however in recent years the number of jobs available has decreased slightly. Along the same lines, the requirements for teaching English in Korea has also increased, and most teachers are expected to have taken an English teacher training program like TEFL or CELTA. Also of note, Americans wishing to teach in Korea, must now have an FBI Criminal Background Check before schools can hire them. The average salary in Korea is about 2,000,000 to 2,700,000 Korean Won per month, or $2300 to $3100 CAD. Salaries at universities tend to be higher than other places. Most schools will also a contract completion bonus of one months pay when you finish a year contract. If you plan to stay additional years at the same school, you should definitely ask for a raise. Accommodations, 50% of Medical Insurance and Airfare to and from Korea, should be covered by your employer. If your potential employer is not willing to pay for these benefits, find a different school to work for. Most employers also provide their employees with some paid vacation time, but the amount of time will be different from employer to employer. Public Schools - are run by the government. The typically have 25 - 35 students in each class, and you may find yourself co-teaching a group of students with a Korean teacher. The typical working hours at a public school are 8:30am - 4:30pm (about 20 -25 hours in class). The salary for private schools is similar to private schools. Some things to consider when thinking about working at a public school are you will get more vacation time than someone who works at a private school and you may be the only foreigner working at a public school, as its common for a public school only hire one teacher to teach different grades. - Using a private teacher recruiter - If you search the internet, there are hundreds of private recruiters online that can help you find a teaching job in Korea. For more information about this option, please check out an earlier blog entry I wrote called "How to find a recruiter you can trust." - Find your own job - Another way to find teaching jobs is to search yourself. Websites like daveseslcafe.com list hundreds of teaching jobs that you can browse through. If you do choose to find a job yourself, try to do as much research as possible about the school and city before you apply for jobs. -The Korean People - When I first arrived in Korea I found the Korean people to be a bit cold and unfriendly. Everyone is very busy and always in a rush. Cultural expectations from your country do not always translate to Korean cultural expectations, which means they may think your actions are rude or vise versa. The thing is once you get to know someone from Korea, you will find them to be some of the friendliest people you will ever meet. Students are mostly very polite and helpful. 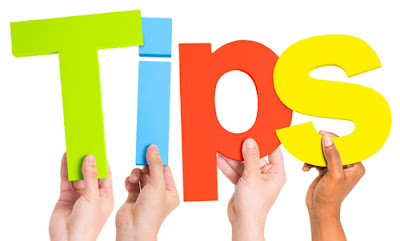 Especially when teaching adults, as you will find that many of your students will want help you by showing you around the city or answer your questions. One thing you should be aware of though, is racism / sexism / homophobia are still prevalent in Korean culture, especially among the older generations. Don't be surprised if you receive unfair or discriminatory treatment just for being you (although being a foreigner also has its advantages in Korea as well). Also of note, is most younger people will know some English (especially in Seoul), but older generations and people living in the countryside tend to know less English. -Nightlife - The nightlife in Korea is unlike any country I have ever been to. Koreans love to drink alcohol and often to excess. Probably one of the reasons for this is the very low cost of alcohol in Korea. You will see people drunker in Korea (of all ages) than you would anywhere else. There are tons of bars, pubs, night clubs that you can go to. If you are not into drinking, there are movie theaters that show English movies, lots of night festivals, and a variety of other activities that you will only find in Korea. 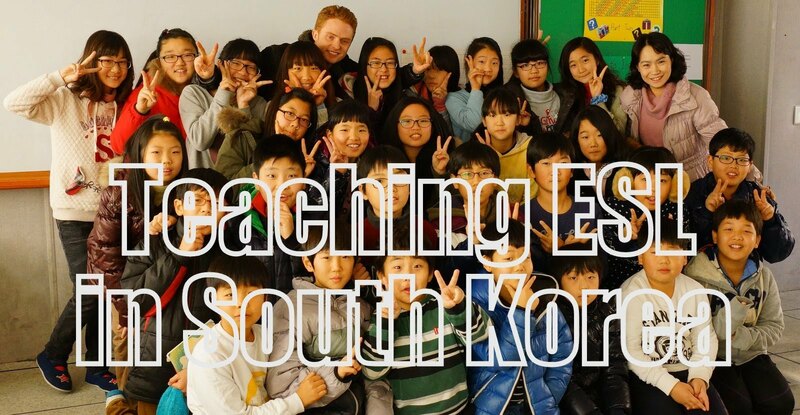 -Expats - There are literally thousands of other expats in Korea teaching English. 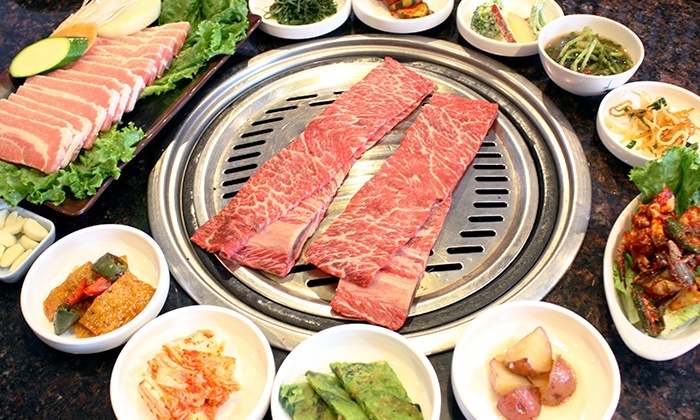 Some people will say "you should try to stay away from other foreigners in Korea, to get the real Korean experience," but I couldn't disagree more. In my three years in Korea, I met some of my best friends that I have ever had, and we traveled all over the country experiencing everything Korea has to offer. I found it was so easy to make friends there because so many people are going through the same experience as you are. -The weather - I really enjoyed the weather in Korea, as they have short (not too cold) winters and long summers. Mind you the July and August are super hot in Korea, but the Spring and Fall are fantastic. I remember wearing shorts in March in Korea and in November. One tidbit of advice: make sure your apartment has air conditioning....you will need it. -North Korea - I've heard so many people tell me they would love to go to Korea but they're too worried about North Korea. Yes, these two countries are technically still at war with each other, but if you ask any South Korean or expat who has lived there if they are worried, and almost everyone will say no. The North has been threatening the South for decades with out anything substantial happening. Yes, they are a threat, but please please please do not let this stop you from teaching in Korea. There is so much I could tell you about Korea in a blog entry. These are just a few things you may want to consider. I'd love to hear from other people who are planning to go to Korea or have already been there. 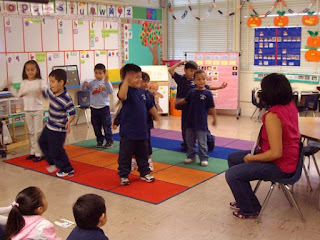 English Only Classrooms: Beneficial or Detrimental to English Language Learners? One of the first rules/polices that new TEFL teachers will have to establish in their classrooms, is whether students can only speak English in class or if they can speak their languages as well. I think it's natural to assume that if students are immersed in an English only environment that this will be beneficial to not only the students' acquisition of the new language, but also for the teacher. But is this really the case? Do students learn better in an English only setting? Is it easier for teachers to teach, when English is the only language spoken in their classrooms? 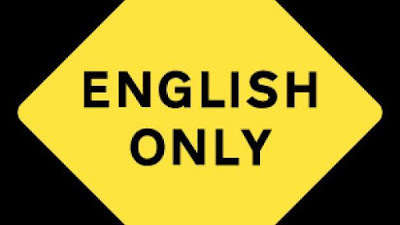 In this blog entry, I'm going to talk about the advantages and disadvantages to an English only classroom, as well as give you some of my own personal opinions on this topic. In the past I had the opportunity to teach in schools that strongly enforced an English only policy and in other schools that were much more relaxed about what languages are spoken in their school. As someone who promotes English teaching-training programs at a university for a career, I'm constantly being asked by potential students, institutions, and even experienced teachers what all these acronyms stand for and what's the difference between them. 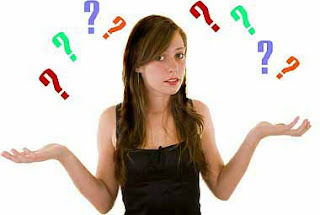 I get questions like "Should I take a TEFL class or a TESL class?" or "What's the difference between ESL and ELL?" all the time, so I wanted to write a quick blog entry to address the confusion. Undoubtedly, one of the biggest challenges that English teachers will face in their careers is being asked to teach students who have zero English knowledge or ability. In an ideal world, these students would be placed into classes with teachers who are bilingual and can use the students 1st language to help in acquiring the 2nd language...the problem though, is this isn't an ideal world, and many teachers, who can only speak English, are regularly asked to teach students who cannot speak a word of English. So where should you begin? What are the best approaches to teaching absolute beginners? 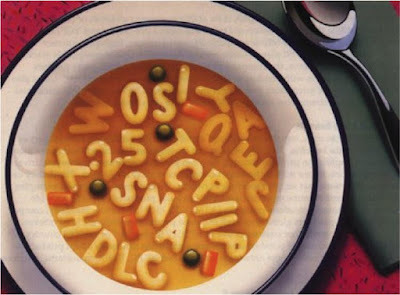 What part of the language should you focus on first? How do you overcome the huge language barrier that separates your from your students? In this blog entry, I want to provide some popular strategies that English teachers will use in these situations, and also give you some of my own personal insight into teaching beginner English language learners. It's no secret that Koreans are some of the most dedicated and prolific English Language Learners (ELLs) in the world. If you travel to South Korea to teach, you'll notice that it seems like the entire country is studying English. If you decide to teach English in an English speaking country you'll undoubtedly find yourself teaching Korean students at some point. 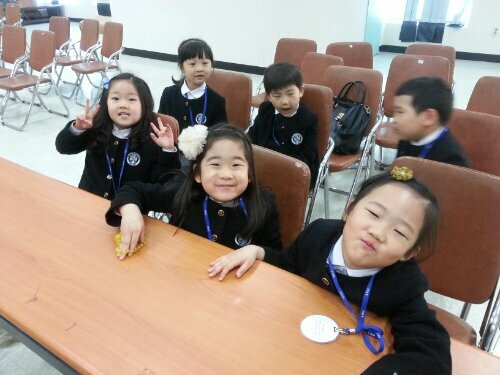 As a result, I thought I'd write a blog entry with some tips on how to best meet the needs of Korean ELLs. This advice will be based on my own experience teaching Koreans (about 5 years) and some popular tips found from doing a bit of research. I love Thailand. Although I haven't had the chance to teach English there yet, I was lucky enough to visit this beautiful country a couple times when I lived in Korea. With it's rich culture, friendly people, amazing food and breathtaking scenery, it's no wonder why this country is such an attractive place to live and teach. In this blog, I'll want to discuss somethings you need to know if you want to teach there. Much of this info comes from my friends who taught there and passed on their experiences with me, and my own research, as a couple years ago I had seriously considering going there to teach. 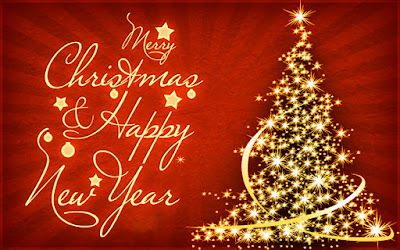 Merry Christmas and a Happy New Year's!!!! It's been a little while since my last post, so I wanted to come back with something fun and practical for teachers to use in their English classrooms. Below are 5 of my favorite games that I use in my own classes that can be used with a variety of learners. 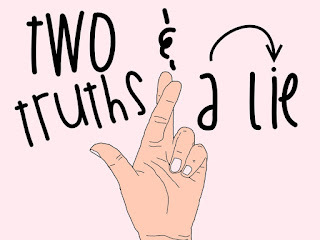 Two Truths and a lie is a great game which is perfect for the beginning of a new class as it is a 'getting to know you' kind of game. This game is also wonderful for practicing speaking and listening skills. Have students write 3 statements about themselves on a piece of paper, two of which should be lies and one which should be true. So you've just earned a TEFL certificate and now you're ready to put what you've learned into practice. Before you do, I thought I'd provide some tips that I wish someone had told me before I went abroad to teach English. One of the biggest questions that someone has to ask themselves when choosing to go teach English in a foreign country is: Do I want to teach children or adults? As someone who has experience teaching children and adults abroad, and in Canada, I'll do my best to weigh these two choices for potential TEFL teachers.